An attempt to found a charter school in Oklahoma has been turned down for a second time by the Oklahoma City School Board. It now heads to the state board of education. The Bureau of Indian Education runs its own schools, but graduation rates from BIE schools (53 percent) are lower even than those of Native students at traditional schools (67 percent), and far below the national average (80 percent). 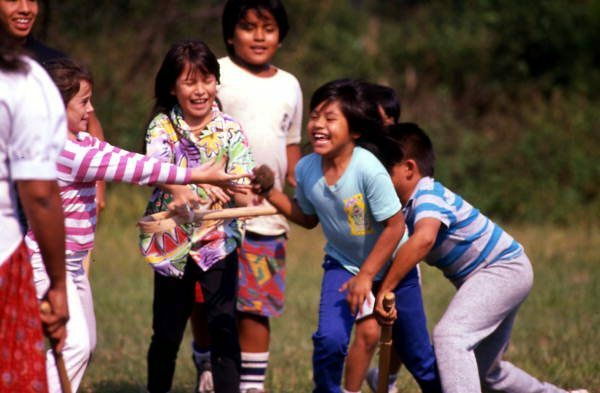 Another 2014 report, this one from the US Department of Education Office for Civil Rights, showed that Native children are suspended and expelled at higher rates than white children. These are the kinds of statistics that NACA and SCS aim to change. In addition, as Linda J. Ellwood pointed out for Indian Country Today, “78 percent of Native Americans live outside of reservations with 70 percent living in urban areas,” making charter networks outside reservations a crucial resource. Award-winning author Roxanne Dunbar-Ortiz said that “absorbing racist and dehumanizing ideas about fellow classmates also diminishes the understanding and compassion of non-Native children, warping their conception of a history that often erases Native Americans altogether.” A charter network such as SCS proposes, which incorporates Native history and literature but welcomes children of any background, might combat this misconception. Gover’s school is tied to the New Mexican NACA network, which has been successfully expanding since 2006. He spent three years gathering community input from the community to draft the SCS proposal. “We are really frustrated that we couldn’t come to an agreement with the district…but it never felt like the district wanted to find that common ground,” he said.